Q The debt I want to chase is disputed, should I issue a Claim anyway? A No. Try to resolve the dispute first. A dispute is not a debt. Q What additional penalties can I add for non-payment? A Look at the Late Payment Act 1998 for fixed penalty charges. a Claim or Entry of Judgment. Q What types of interest can I charge when I issue a Claim? debtor pays just the basic sum due? 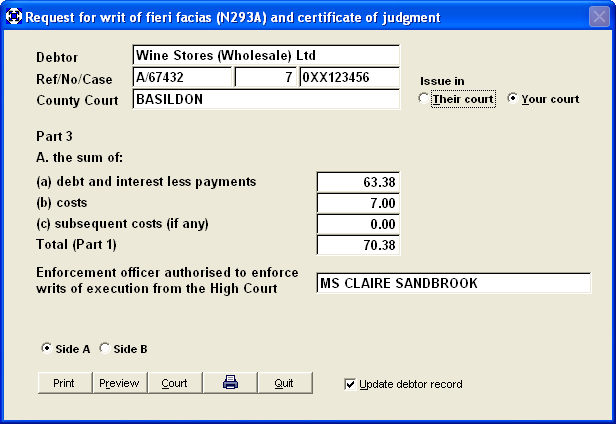 judgment in default for the costs and interest to judgment. Q What is a Third Party Debt Order used for? by getting a person who owes the debtor money to pay you. Example: Barclays Bank PLC holds a �1000 deposit. 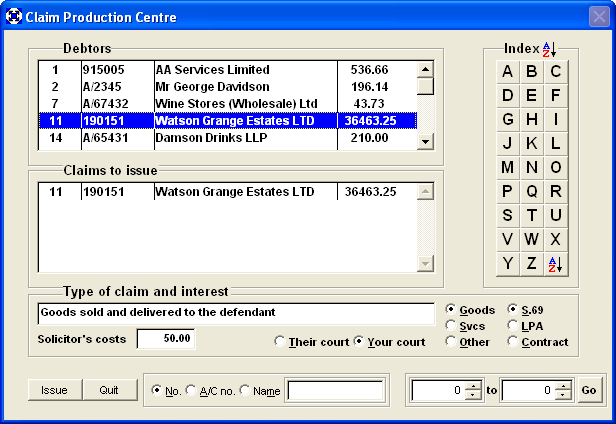 Complete Form N349 in the DCM software. Q What is the fee to issue a Statutory Demand? 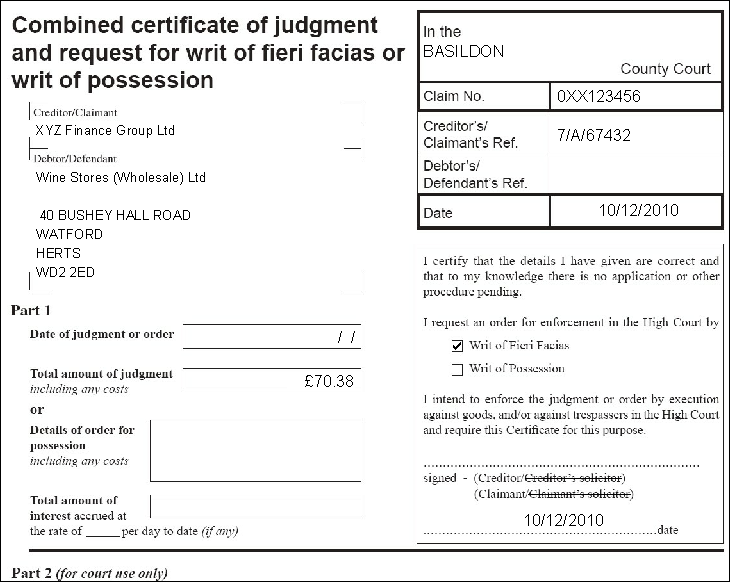 A Complete form N293A to transfer to the High Court for enforcement. A Writ of FiFa will be issued for you. Q How quickly can I issue a judgment in default? A Normally 14 days after postal date of service. and no defence has been filed, you will have to wait 28 days. A Issue an Attachment of Earnings Order on Form N337. Q Where a case is defended, how does the Court deal with that? to the value of the debt. (1) Small Claims (2) Fast Track (3) Multi-track. See Civil Procedure Rules parts 27, 28 and 29.